Miami’s Office of Zoning has granted approval for the Smart Brickell project, according to a notice posted on the city’s website. A phased vertical construction permit is listed as pending, city records show. Demolition was underway as of November, with the demolition permit approved by the city in September. Sales for the project’s Tower 2 launched in November following sellout of the first tower. Groundbreaking is scheduled for Q4 2019. Tower 2 is a 25-story tower that will include 50 hotel rooms and 50 condos. Units are being offered finished and furnished, with Airbnb or other short term rentals allowed up to 24 times annually. 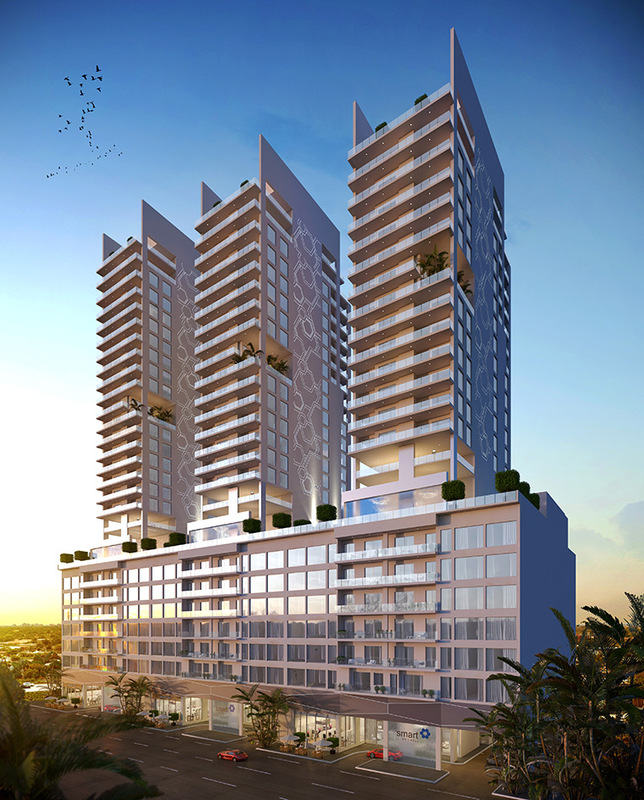 Smart Brickell is planned to include three towers. Developer Habitat Group has several other projects planned in Brickell including Millux, with two hotels and 57 hotel rooms, and another mixed-use project. Hernando Carrillo is the architect, with interiors by Arquitectonica. Cervera is handling sales. We have tons of pessimists on the link. Six curb cuts in 300′ are truly beautiful! But it’s a smart Building.. I don’t know why they wouldn’t mix up the windows so there is more privacy but I guess it is cheaper to just line them all up! Mixing up the windows is what makes it look cheap and like a jail. It’s called a city. If you’re concerned about privacy, use curtains. Frankly, there’s not enough windows in between the towers, and instead some stupid tribal tattoos. Or they can use tinted windows,good privacy solution. The cheesy painted design on sides, so beautiful lol. It’s not even architecture. Does someone know the address?